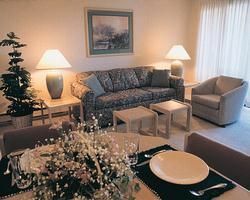 WorldMark Surfside Inn (just north of Long Beach, Washington) is a distinctive WorldMark by Wyndham timeshare property. 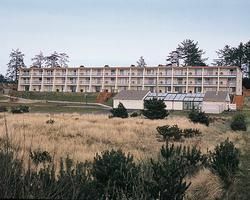 Located only a quarter mile (two short blocks) from the rugged beach and shoreline at Cape Disappointment and the 28 miles of sandy beach on the Long Beach Peninsula, this resort is considered a year-round destination even though it offers two distinctly different experiences based on the winter or summer season. When you are looking for golfing, biking, hiking, and beach combing, you’ll want to plan your WorldMark Surfside Inn vacation for the warmer summer months. And when you long to curl up by a toasty fireplace or brave the wind and walk the storm swept shoreline along the Cape, you’ll plan your vacation during the winter season. Both are excellent ways to relax and get away from daily pressures in a resort setting that feels like a spacious and private condominium home, which just happens also to have resort-style amenities. Buy a WorldMark Surfside Inn timeshare and then “Go fly a kite!” You’ll be a vacation owner at one of the world’s premier kite flying destinations. But there is so much more to see and explore at this beautiful locale. Go to the World Kite Museum and Hall of Fame, of course! Climb to the top of Cape Disappointment Lighthouse, the oldest lighthouse in the state of Washington, built when the area was still known as the Oregon Territory. Visit the Lewis and Clark Interpretive Center, located at the Cape lighthouse. Make this a two-lighthouse vacation and see the North Head Lighthouse, constructed nearby after it was discovered that the first lighthouse was only visible to ships sailing from the south and west. Take a charter fishing expedition for salmon. Horseback ride in the edge of the surf. Visit the Willapa Bay National Wildlife Refuge, recognized as one of the most pristine estuaries in the U.S., and home to more than 250 species of birds and some of the largest bird populations on the U.S. Pacific Coast. Explore the Pacific Coast Cranberry Research Foundation Museum (and you thought cranberries only grew in New England). And plan to vacation at the Surfside Inn least once in the month of August, so you can enjoy the annual Jazz and Oyster festival. Offering four floor plans, this WorldMark Resort has 1-bedroom units designed to comfortably accommodate up to four adults and 2-bedroom units that offer a maximum occupancy of six adults. The 1-bedroom plan features one private bedroom with king size bed, plus a sleeper sofa in the living area. A special needs accessible floor plan offers a roll-in shower, a built-in shower chair, a roll under bathroom sink, and first floor accessibility. The Surfside Inn 2-bedroom layouts offer all the features of the 1-bedroom (including a special needs accessible floor plan) with the addition of a second private bedroom that has twin beds. Every unit includes either a balcony or patio with a gas grill, cable service televisions, DVD player(s), a gas fireplace, a full or mini kitchen, and high-speed internet access (fees may apply). On property, you’ll enjoy an indoor swimming pool, kiddy pool, hot tub, arcade games, a laundry room, playground, and an adjacent 9-hole executive golf course. Ready to find out more about this WorldMark by Wyndham resort and the many great deals in timeshare resales and timeshare rentals? We are ready to help you with this Washington timeshare and others as your find the vacation ownership resale that is just right for you. Contact WorldMark Surfside Inn Specialist Today!